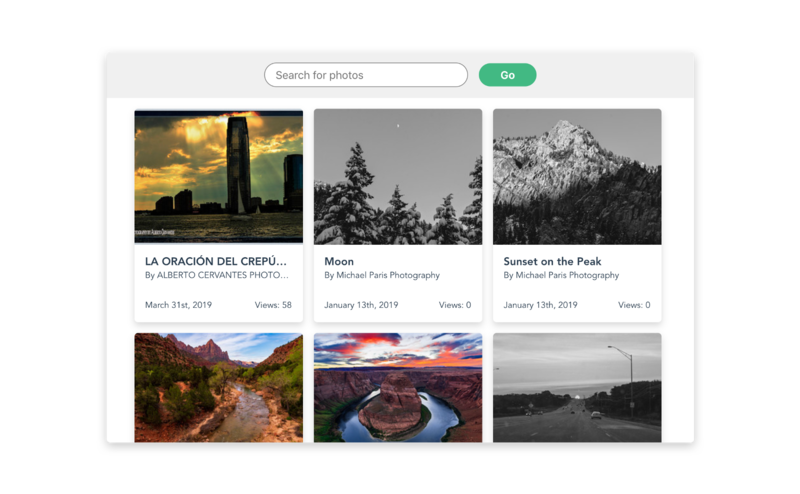 🎉  Successfully created project vue-flickr. 4. 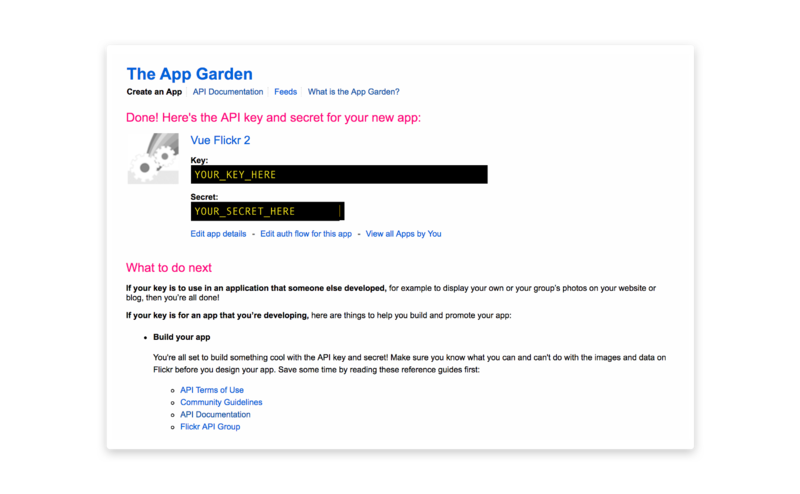 Click “Request an API Key” on the next page. 5. 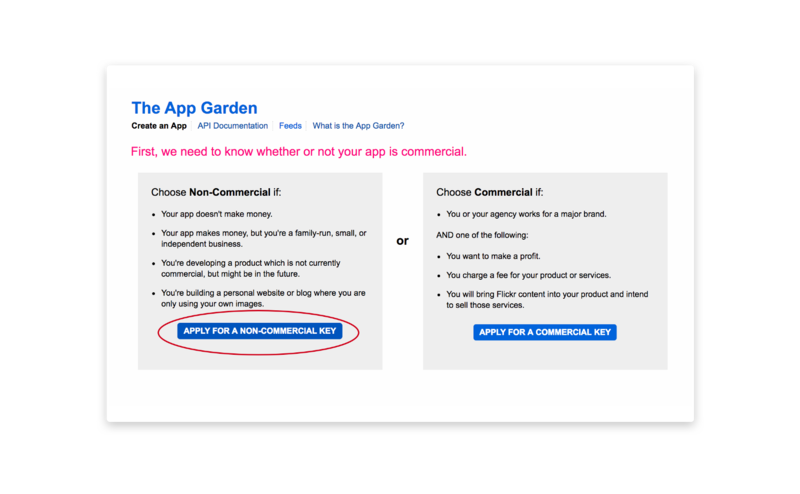 Click “Apply for a non-commercial key”. 6. 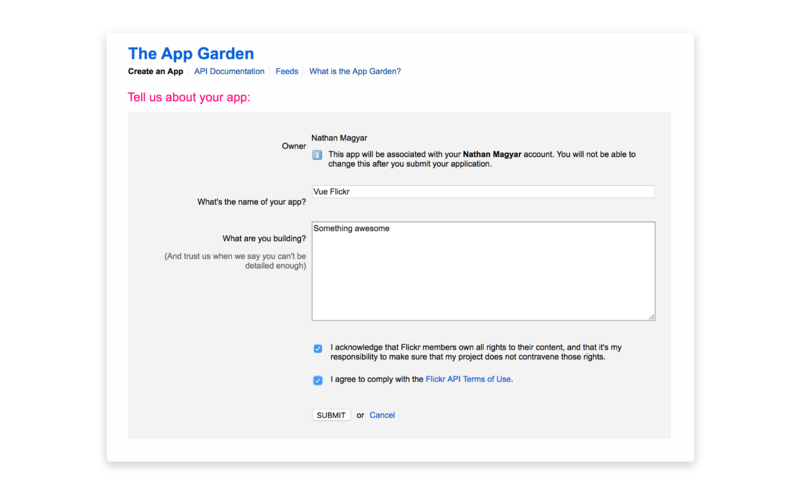 Enter a name and description for your app. Check the boxes and hit “Submit”. 7. You’ll then be taken to a page where you can copy the key provided. We need a way to enter and submit a search term. Add a form to the template that contains one text input and a submit button. 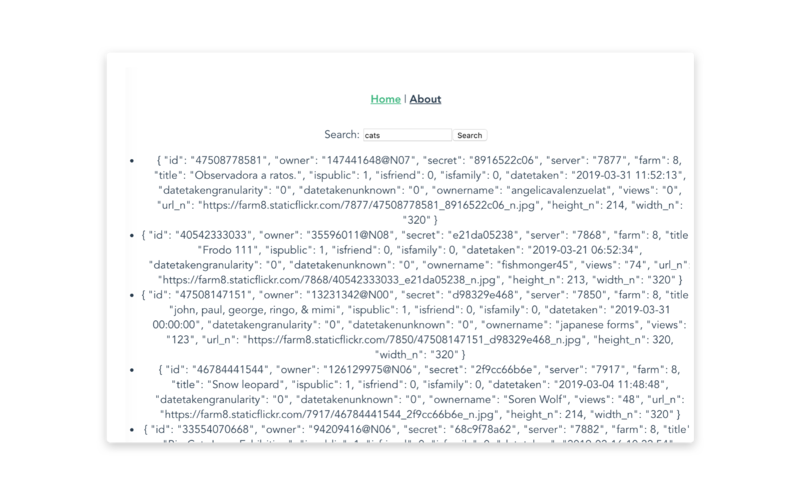 The text input should usev-model to connect to a tag data property. The submit button should fire a search method when clicked, BUT it should not reload the page (hence the prevent modifier on the click event). After a user submits their search term, the page should populate with photos that have been tagged with that term. The template should display a loading... message while the data is being fetched and then include an unordered list of photos (using v-for) once it’s ready. Based on the above, our template is now using two new data properties, loading and images, so be sure to add them to the data() function. Next, our search method needs to do a couple of things. When it’s first called, it should change loading to true, since the data fetching process is underway. 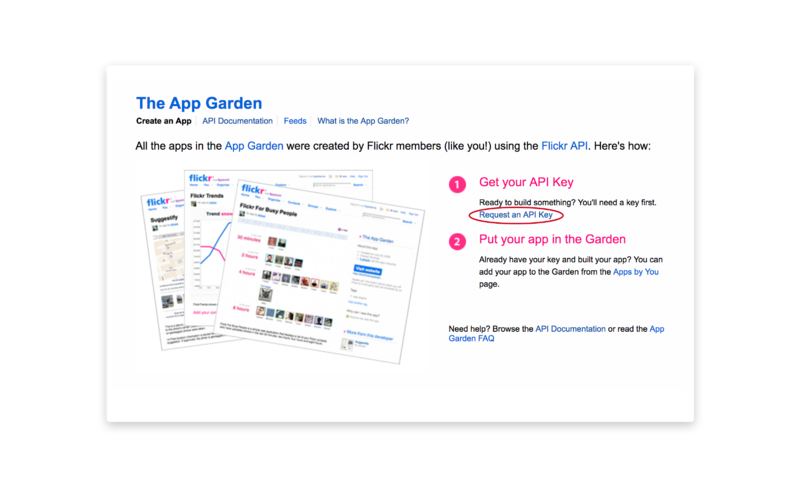 Then it should make a request to the Flickr API using axios, and when the response (image data) is available, populate images with an array of images and set loading to false. extras — any additional info we want about the photos that get returned. We want to see the photo so we need the url_n string. owner_name tell us who took the photo. datetaken tells us when the photo was taken. And views tell us how many people have viewed the photo. You can find a full list of what’s available for a given photo here, and you can play around with the flickr.photos.search method here. fetchImages() handles that actual retrieval of the photos, but it doesn’t populate images. That happens in a subsequent callback once the data is ready. We know the data is ready when a Promise is returned. Promises are what allow us to retrieve data asynchronously. 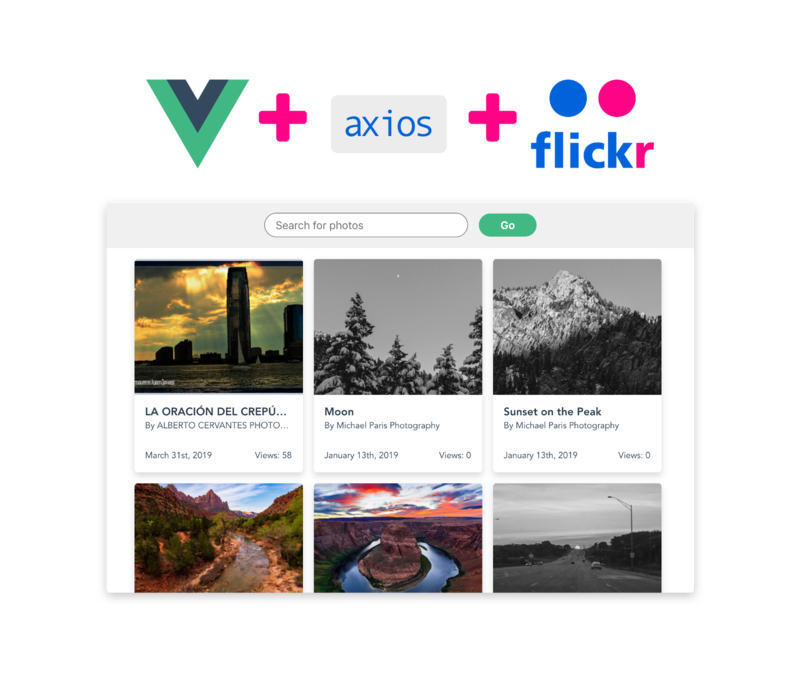 In other words, we can ask axios to work on getting the photo data for us while also letting Vue do other things. In short, Promises help our app run faster and perform multiple tasks at once. 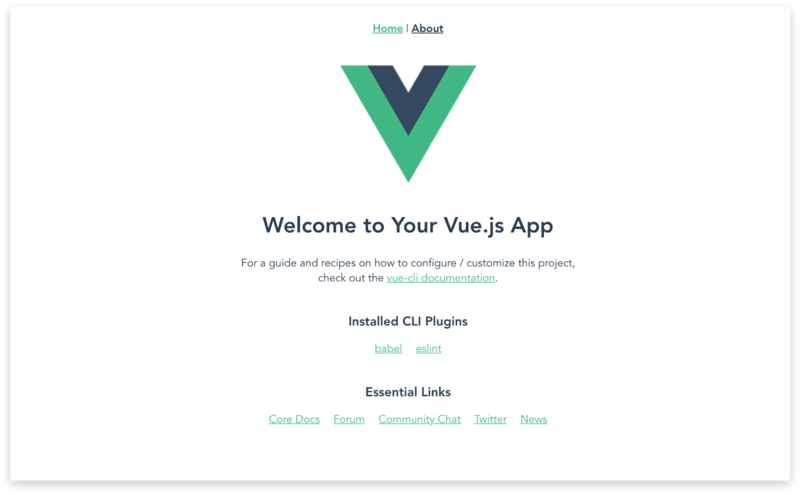 When the Promise is returned with our data, we tell Vue what to do with it. The then() method is called when a Promise is returned successfully. It accepts the response, which contains a data object. 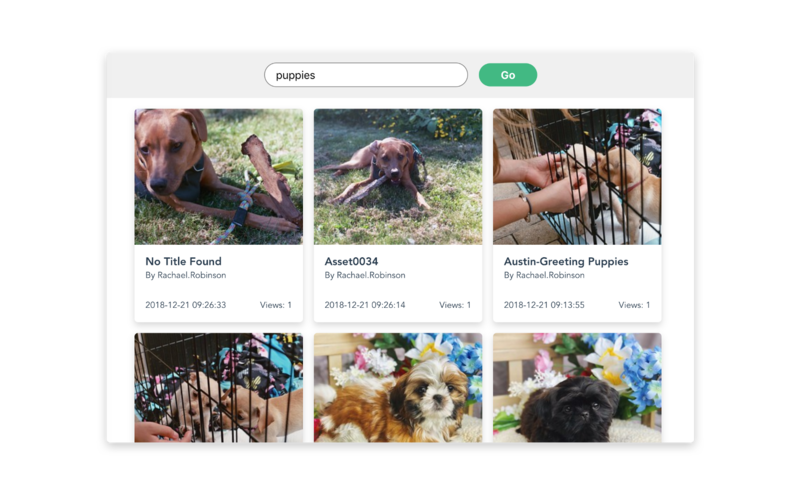 Inside data, we’ll find a photos object, which contains an array of photos named photo. That’s what we want images to store. Once we do that, we can mark loading as false and reset our tag property. The result should be the same as before in your browser. 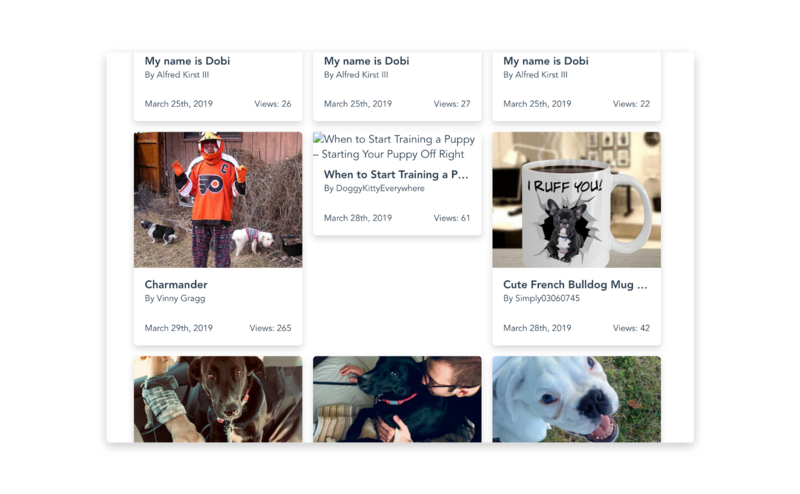 Now add styles to Home.vue and ImageCard.vue to make it pretty. 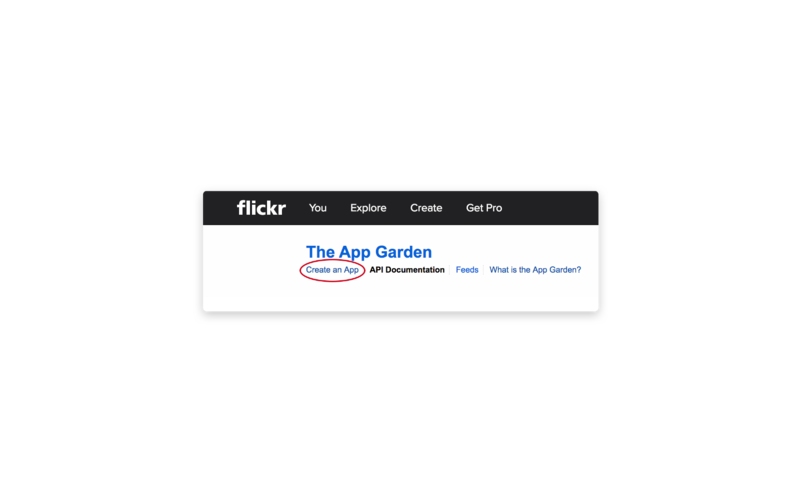 This is probably due to data inconsistency from Flickr (ie a missing url_n string). A simple solution is to create a computed property called cleanImages that filters out any image that doesn’t have a url_n, and use cleanImages to loop through in our template instead of images.